13-year-old Julia is currently battling Lyme Disease and is now wheelchair bound. Even in the toughest times Jenny found encouragement in her choir friends. 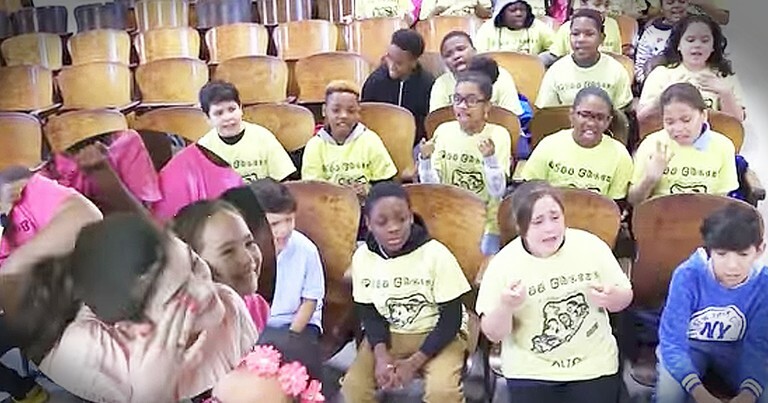 The students from PS22 decided to surprise Jenny with an incredible rendition of Rachel Platten's 'Fight Song.' And when you hear the inspiring words they have to share with Julia and their huge gift for her family, it will tug at every heartstring.